Have you considered investing in a Havahart Wireless Radial Shape Select Fence? Do you find it challenging to confine your furry friend within your compound? Or do you lack the energy and tools to erect a wire fence around your home? Well, you don’t need to suffer anymore. 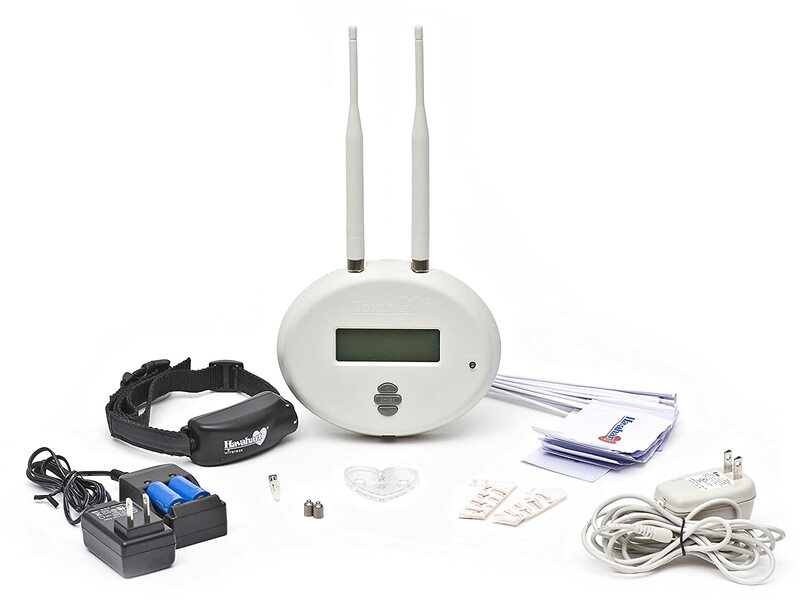 What you need is a wireless fence that ensures your dog stays in the desired location. However, with so many types and brands of wireless fences in the market, which is the right type? After spending some time and comparing different products, I settled for the wireless radial-shape select fence by Havahart. Moreover, I have another top 5 wireless fence review. To Read this article click here. Which types of dog are Havahart Wireless Radial Shape Select Fence For? What's Included with Havahart Wireless Radial Shape Select Fence! Training my first pet was never easy. In fact, it felt more of a full time chore. And if not training it, I was busy looking for where he had escaped. Also, I was tired of getting into wrangles with my neighbors because of my dog. As soon as I got my new puppy, I decided to invest in a wireless fence, and why did I settle for the Havahart wireless radial-shape select fence? Did you know that the filtering technique found in the wireless fence is similar to that used by NASA? What this means is that you get the widest Trigger Zone and clearest boundary. The transmission and reception of the signals are highly accurate. You don’t have to worry about your dog overstepping the boundaries. Also, you don’t need to keep adjusting the system all the time. Confining my pets in the farm has always been an issue. Also, the cost of putting up a wire fence would be high. Fortunately, the radial-shape select from Havahart wireless had me and the dog covered. It can effectively cover a large area of up to 11 acres. In fact, due to this feature plus the NASA technology, the wireless fence is regarded as the benchmark in the market. “Would the beeping and alarm interfere with the dog’s sleep?” This question really bothered me. I didn’t want my faithful friend to lose precious sleep. Also, I didn’t want a device that emits small noises, buzzing, or humming continuously. But, thanks to the highly advanced Motion Sensor Technology, the receiver on the dog’s collar goes into sleep mode after sensing inactivity. This guarantees your dog of peaceful sleep without any disturbances. A good wireless fence is more than ensuring the dog doesn’t overstep its boundary. It is also about redirecting the dog back to its designated zones with minimal harm. I didn’t want to see my dog startled or tremble because of receiving the shock. The device features highly effective yet painless static correction. The dog will simply return back to its zone effortlessly and painlessly. The Havahart radial-shape wireless fence is perfect for any yard. It is ideal for large yards that stretch several meters. You can also use it in small areas that are only a few meters. To find the right circular boundary all you need is simply adjusting the setting. First, you start by viewing the layout of the yard, then finding the right location for the receiver. Maybe you are wondering if the wireless fence can work with several fences. You don’t want your yard to be cluttered with transmitters. Also, you wouldn’t want to leave some pets outside the zone. The transmitter can work with several transmitters at the same time. It also comes with minimal interference hence signals canceling each other are minimal. It can work with cats as well as dogs. Dogs are known to love licking themselves and their stable mates. They will also be rained on or jump into a puddle or water or pond once in a while. So, does this mean, stopping your dog from enjoying a shower or walk in the rain? With the Havahart wireless radial-shape select fence, you don’t have to. The collar is waterproof and will resist any form of moisture. This ensures the signal is still strong even in the wet. Quality and durable: The high-quality material and design make it ideal for day-to-day use. It is also resistant to the elements. Easy to install and operate: No need for tools or special skills. Versatile: It is suitable for large as well as a small area of coverage. It can also be used for both dogs and cats. Easy to adjust: Changing the boundary is pretty simple and can be done instantly. Affordable: Cost of buying and maintaining the wireless fence is way lower than erecting a real fence. The signal reception is affected by uneven or sloppy gradients. Several aspects can be observed from the above review. One, the Havahart Wireless Radial Shape Select Fence is highly effective even in large areas. Two, it features advanced technology that provides accurate results. Three, the Motion Sensor technology ensure your dog can sleep without any disturbance. Unfortunately, the device works best in flat and open areas. Also, it is only sold within the US. All-in-all, any dog owner searching for a reliable and affordable boundary will find the Havahart wireless radial-shape select fence ideal.